Dexter Daily: POLL: Has Dexter Fully Convinced Deb of the Value of His Process? 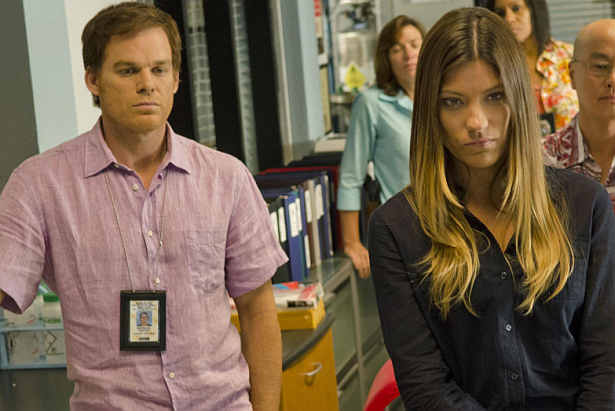 POLL: Has Dexter Fully Convinced Deb of the Value of His Process? By the end of episode 7.04 "Run", Deb had come around to Dexter's perspective. Dexter brought her to the kill location after he killed Ray Speltzer. I think everyone noticed the mixed feelings, and a weird satisfation on Deb's face in the final scene in the car. Do you think that Dexter has fully convinced Deb of the value of his process? Vote below! Has Dexter fully convinced Deb of the value of his process?